NorthStar Moving has been serving clients and the community in the region for decades and wants to use their close proximity and experience to help those affected by the fires. As long time residents of Southern California, our hearts break watching families return to their homes damaged by the fire, but we know Californians are resilient, we will rebuild. 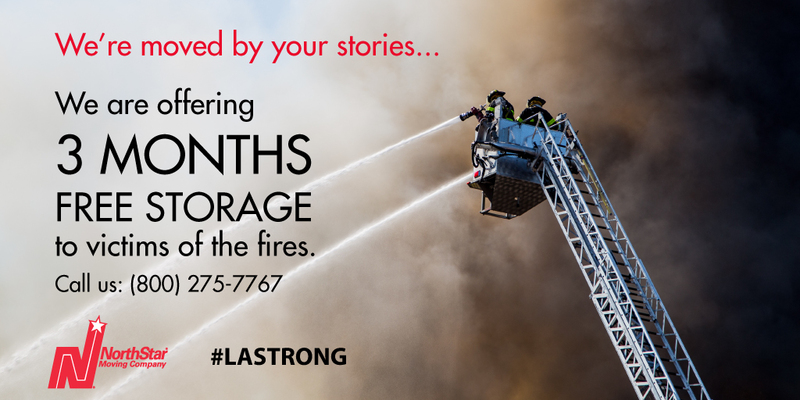 To assist in this effort we would like to offer folks moving with us, out of their fire damaged homes, three free months of full-service storage giving them a chance to rebuild their homes. We are #LA Strong.